According to a recent Harvard Business Review Analytic Services report on business' transformation from on-premises to the cloud environment, 80% of the 783 business leaders surveyed believe that disruption will take aim at their industry very soon, most likely in the next three years. Yet less than half of those respondents had a plan or strategy in place to deal with the effects of the upcoming disruption. A big part of transforming an industry to the cloud is transforming its technology - like moving to Microsoft's Azure for the cloud. When it comes to transforming your legacy technology landscape to Azure, we can tell you about what you need to manage this aspect of your business. Why choose Azure? Azure encompasses three of the essential elements of a cloud computing stack: IaaS, SaaS, and PaaS. IaaS means the infrastructure that forms the very basis of the cloud computing stack. It provides on-demand access to computing and plenty of storage. PaaS refers to the capabilities that stack on top of IaaS to create a development platform for applications -- all in the cloud. SaaS refers to all the software applications that reside in the cloud. Azure provides these three elements whether you prefer the private cloud, the public cloud, or a hybrid. When you add PaaS to your stack, your vendor takes over responsibility for all the functions above, except applications and data. When you add SaaS, your vendor takes over responsibility for all the above functions including applications and data -- and you have more time to do what you do best, grow your business. manage disaster recovery from the cloud using Azure Site Recovery and other recovery tools. What if I need custom applications? Custom applications is one of the best ways to leverage cloud services. Azure can help you design applications just for the cloud. This is where Azure's PaaS provides the framework for developers to create without worrying about runtime, O/S, or middleware. Azure cloud services also work well with Continuous Delivery in the cloud which means your developers are more creative, more productive, and produce customized applications faster at lower cost. 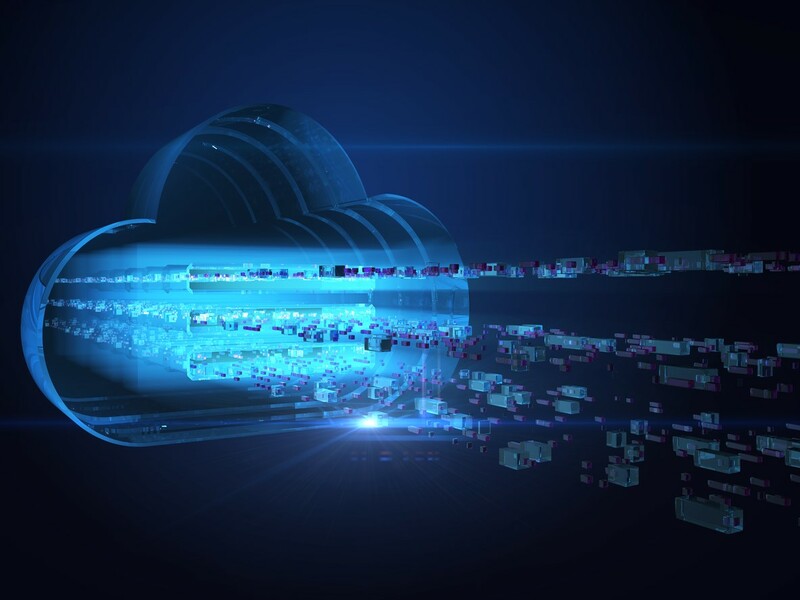 Applications developed in the cloud provide faster sales process, secure online transactions, automated transactions, video content for customers, and mobile connections to supply chain partners. Azure makes it easy to use Chef to automate the infrastructure, launching it from the Azure Marketplace, or launch Azure virtual machines with Chef pre-configured. Infrastructure automation is key to Azure's DevOps platform. Big Data and Azure. We've tossed the big data term around for years but the truth is that most companies could not afford big data solutions in the costly on-premises world. Cloud computing, however, is a whole different ballgame. In the cloud, businesses no longer buy and maintain expensive hardware. One of the best things about cloud computing is that when you need more resources, you can buy more. When you don't need the resources anymore, you drop them out of the picture. Azure makes it possible to collect and store big data at lower cost. Azure lets businesses create a data warehouse and begin mining the information immediately. Azure Machine Learning has pre-built and pre-integrated resources that make big data analytics available to every day users. Azure also has tools that make it easy to spot patterns and correlate information. Azure also makes it easier to share those insights. Analyze and Visualize - use insights gained to execute cost-saving and generate revenue. IOT adds value to companies in almost any industry because big data is almost everywhere gathering information and generating insights.